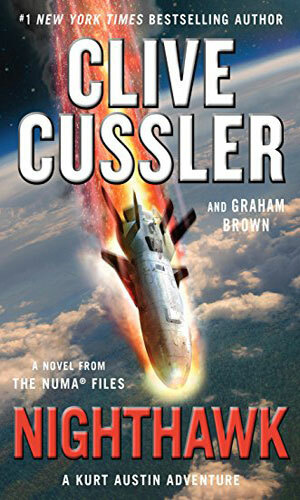 Kurt Austin is a researcher for NUMA. As a member of the National Underwater and Marine Agency, he travels the world investigating unusual events and phenomena related to the oceans and seas. He is highly educated and inately intelligent so, when coupled with his athleticism and his unbridled curiosity, makes him an excellent candidate for getting into messes and then getting himself out. At first glance he appears older than he is as his prematurely white hair gives him an aged look that his phsyical ability contradict. 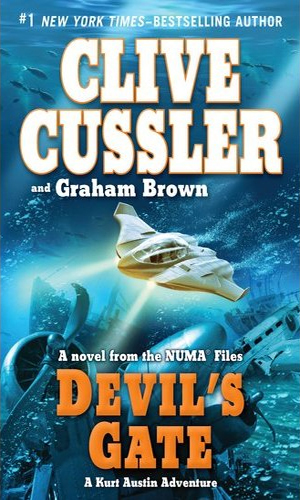 NUMA is the same agency that a more famouse character, Dirk Pitt, works for though the two have little contact with each other. As a top agent for this maritime bureau, Austin gets involved in activities far outside normal underwater investigations. He is joined in his many assignments by a close friend, Joe Zavala, who provides numerous, often witty, observations of their situations. character, such as a love of adventure and collecting. Austin is an avid collector of antique firearms and is always on the lookout to add to his extensive collection. When he is not on an assignment, Austin can often be found taking part in another favored pasttime, boat racing. The type of excitement that Austin and Zavala get into usually consists of some antique or ancient artifact being discovered or whispered about that can affect the modern work, often related to the ocean, or some strange underwater event is transpiring caused by a man made activity. It is the job of this pair to find the cause or object and make sure that it does not adversely change the state of the oceans and/or the world. 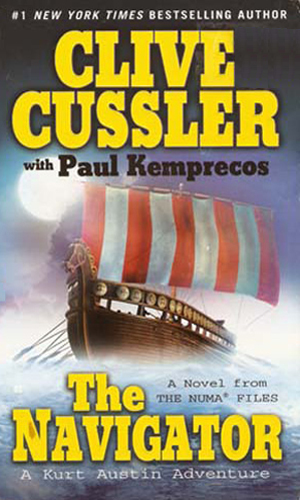 Clive Cussler had such phenomenal success with his first series, Dirk Pitt, that it was only natural he expand, especially when another top-selling author, Tom Clancy, was doing so well with his style of propagation. 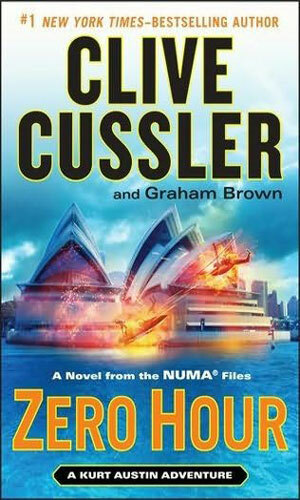 The system, now being emulated by even more top layer authors, like the late Robert Ludlum, is to create a series that a different author actually writes under the guidance of the primary talent. 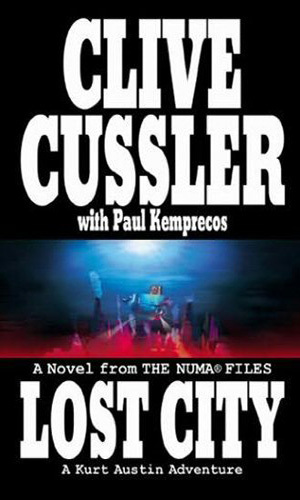 With the Austin series, the writer, and possibly co-creator, is Paul Kemprecos. 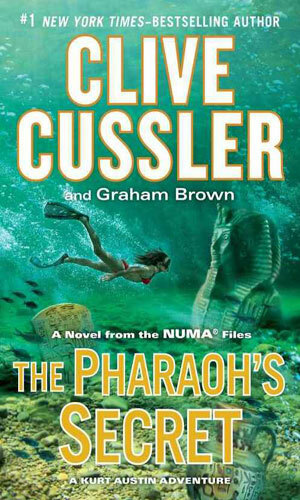 Kurt Austin saves the life of a marine archaeologist off the coast of Morocco. Somehow, this infuriates a Texan tycoon who has grand plans to create his own country out of the southwestern U.S. and parts of Mexico. The people who are rapidly depleting the population of gray whales off the coast of Mexico are also determined to not let Kurt Austin and his people interfere. 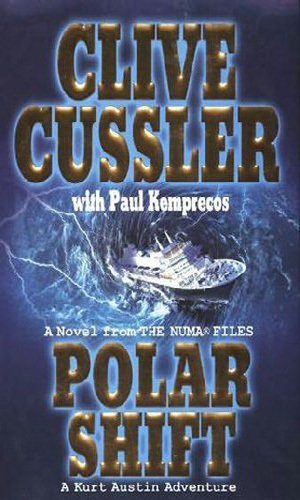 Meanwhile, another NUMA group is find a group of thieves in the mountains of South America stealing medicinal secrets. The two problems become connected. A would-be czar of Russia believes the best way to keep the U.S. from interfering with his takeover plans is to destroy one of America's coastlines. The destruction of the boat Kurt Austin was on is just one of the lengths a multinational corporation will go to control all of the seas. 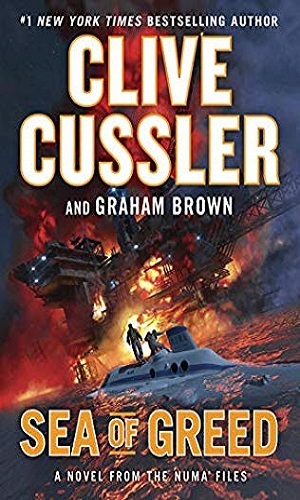 Scientists working to harvest a rare enzyme beneath the waters of the North Atlanta are being killed and Kurt Austin must stop the mayhem. The work of a long-dead Hungarian scientist has been rediscovered and it could be used to cause a catastrophic shift of the earth's poles. The deaths of at least two people who had come into contact with an ancient Phoenician statue makes Kurt Austin curious what is so special about it. 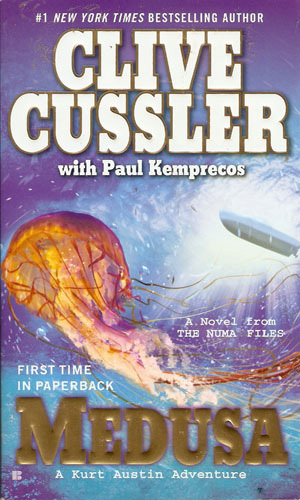 Kurt Austin gets involved in a case where scientists studying jellyfish start dying for no apparent reason. Then the ailment starts spreading rapidly. When a Japanese cargo ship near the Azores bursts into flames, it is news-worthy. 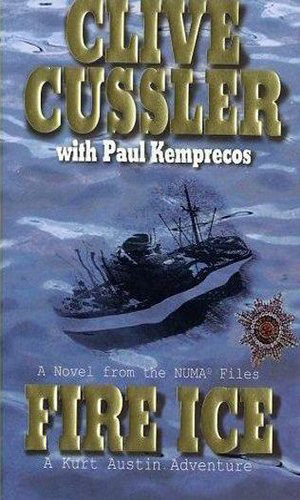 When a ship of pirates rushing to take advantage of the situation also explodes, that is enough to get NUMA to sent Kurt Austin to investigate. What is the black patch in the middle of the Indian Ocean, a patch that looks like spilled oil but which attacked a NUMA vessel with deadly efficiency. Kurt Austin is sent to investigate. No one has figured out how to tap into a state of energy known as zero point, until now. The scientist is certain he has figured it out but the device to harness it is causing earthquakes. Kurt Austin is injured while helping rescue people from a yacht that was sinking. When he awakens, his faulty memory plagues him, making him wonder if he saved anyone at all or if the vehicle was empty. 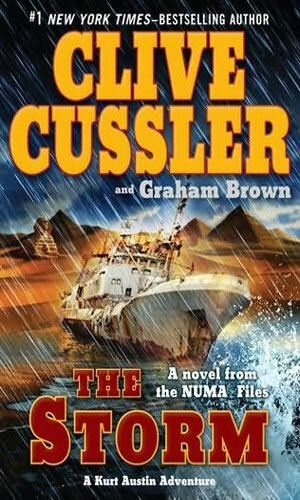 The power-mad man that Kurt Austin and friend go up against this time wants to create a new Egyptian empire like in the days of the Pharaoh and his discovery of a huge aquifer beneath the Sahara. He intends to also make use of a plant extract that is said to kill the living and revive the dead. The disappearance of the most sophisticated aircraft designed has got Kurt Austin headed to its last known area, the South Pacific. The seas are rising faster than the melting of the ice caps can explain. 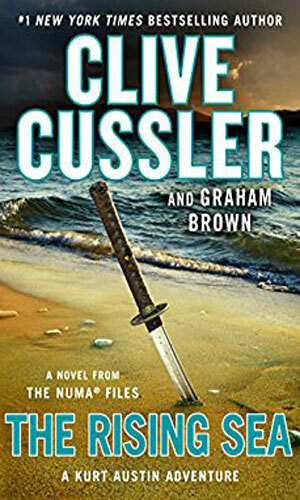 Looking into this danger, Kurt Austin and the NUMA people learn about activities going on beneath the East China Sea that can have disastrous results for a billion people. A billionaire in the alternate energy field has an idea to greatly advance the cause of her solution to the oil problem - bacteria that eats the oil before it can be pumped, thus bringing the world racing to her doors for a way to power the planet. 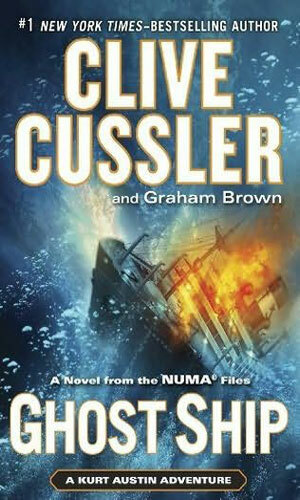 The President asks NUMA to investigate and Kurt Austin gets the nod. 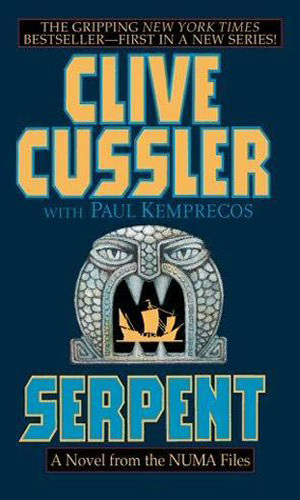 Oddly enough, if Mr. Cussler had not already created Pitt, I believe that Kurt Austin would have achieved a fairly good following all his own. 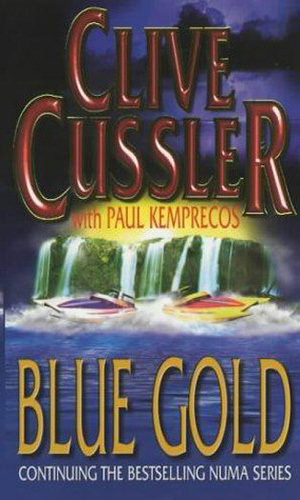 Even though I know Mr. Cussler did not write these adventures, his hand can be felt on them and they are worth the read. My hat is tipped to Mr. Kemprecos, who actually wrote the adventures. You have done quite well, sir, and thank you! 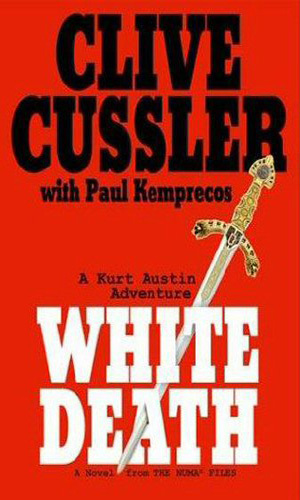 No one would ever claim that Austin wasn't a lot like Pitt and the books are clonish in nature but the adventures are thrilling and the action exciting and the humor amusing and the books fun to read. What more could you ask for?